Fierce Festival | Emerging artist Anna Horton explains Common Logic at Fierce Festival Hub last weekend. Emerging artist Anna Horton explains Common Logic at Fierce Festival Hub last weekend. 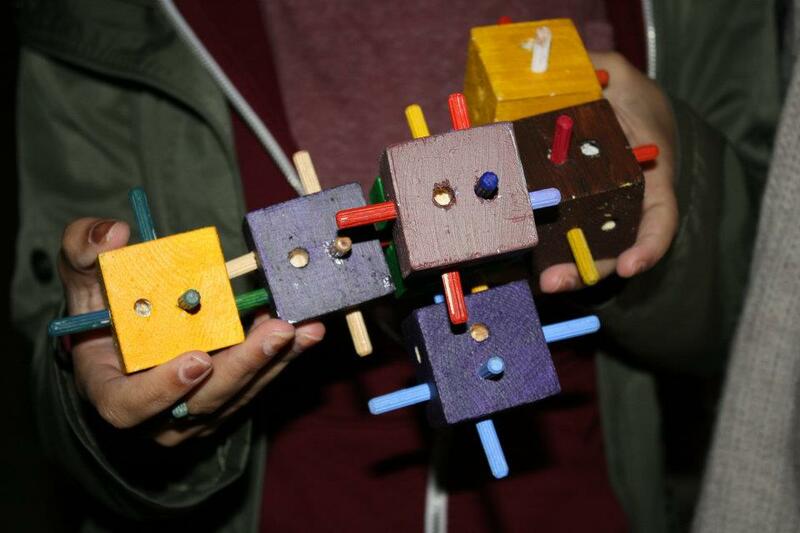 On Easter Saturday those who found blocks and those hoping to find more gathered at Vivid to build Common Logic. 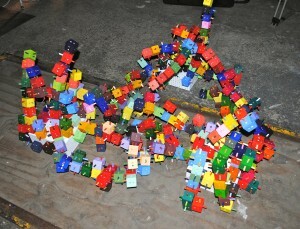 People collected the blocks together that were scattered round the hub, forming new exciting combinations. These were then slotted into the main installation. Three lit white boxes started the installation. 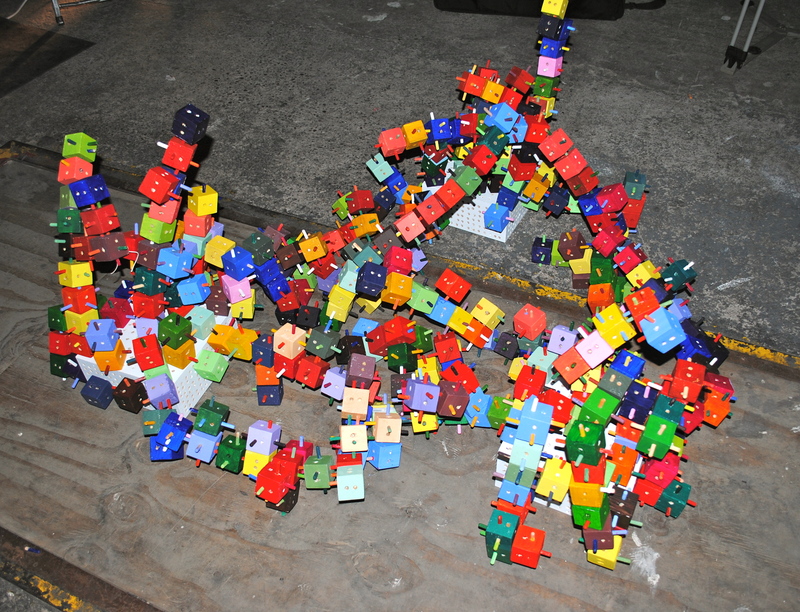 As people came to add their blocks to the piece they were caught on camera. A live feed was projected onto the wall behind, making people nervous when adding their chosen block. It also made people think carefully about where to place it. The variations in connections meant participants had to discover where their block would fit through trail and error but at the same time not be too forceful and upset the balance of the piece. As the Common Logic was created people bridged the gaps between the white boxes. They matched and clashed the colours deliberately. Some even moved others’ blocks to enhance their own creations. The fun atmosphere of Common Logic was reflected in the childhood nostalgia of building and constructing. The end result looked fantastic. The way the blocks curved and looped over each other created unexpected forms. The variation of different connections of the blocks created extraordinary patterns. Balance was an important aspect to the build, participants wanted to push the boundaries and many of the shapes where consequences of seeing how high or how precarious the connections could be before it fell. Thank you to all the people who made Common Logic a success! For photos and videos of this event and to find out about the next build visit www.facebook.com/thecommonlogic or follow @thecommonlogic. Next: Fierce Festival Opening Weekend: Track by Graeme Miller, pictures and BBC snippet.